C++11 feels like a new language. I write code differently now than I did in C++98. The C++11 code is shorter, simpler, and usually more efficient than what I used to write. This poses challenges: How do you present C++? What techniques do you recommend? What language features and libraries do you emphasize? Presenting C++11 as a layer on top of C++98 would be as bad as representing C++98 as a layer on top of C. C++ must be presented as a whole, as the powerful tool for design and implementation that it is, rather than a set of independent features. 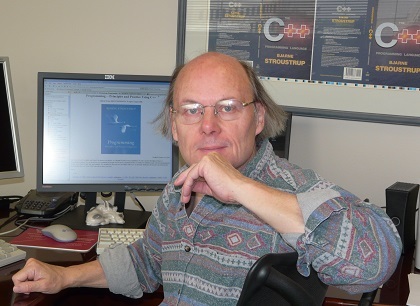 The Fourth Edition of The C++ Programming Language attempts that and should become available in a few months. 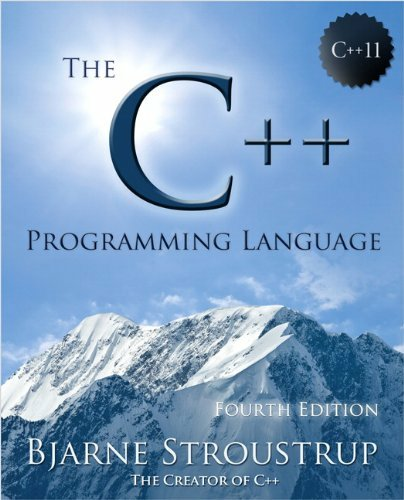 To help people get started with C++11 and with TC++PL4, I summarize C++11 in four chapters, collectively named A Tour of C++. Addison-Wesley graciously allowed me to post drafts of these chapters. I will do so over the next months. TC++PL4 is not a work of science fiction. All features presented are available in one or more currently shipping C++ compilers. All C++ compiler purveyors are hard at work completing their C++11 support. The “Tour” is a tour of ISO Standard C++, rather than a tour of what’s new in C++11 or a tour of your favorite C++ implementation. Also, the tour assumes some familiarity with programming; it is not written for complete novices. Constructive feedback is most welcome. P.S. For a list of new features in C++11, see my C++11 FAQ. Of course, TC++PL4 has such a list, but it is not part of the tour. The Tour is now also available in book form; see cover image at right. Preface to The C++ Programming Language, 4th Ed. The use of C++ has changed dramatically over the years and so has the language itself. From the point of view of a programmer, most of the changes have been improvements. The current ISO standard C++ (ISO/IEC 14882:2011, usually called C++11) is simply a far better tool for writing quality software than were previous versions. How is it a better tool? What kinds of programming styles and techniques does modern C++ support? What language and standard-library features support those techniques? What are the basic building blocks of elegant, correct, maintainable, and efficient C++ code? Those are the key questions answered by this book. Many answers are not the same as you would find with 1985, 1995, or 2005 vintage C++: progress happens. People with a background in application languages, such as Java, C#, Python, and Ruby, looking for something “closer to the machine” -- something more flexible, something offering better compile-time checking, or something offering better performance. Naturally, these three groups are not disjoint -- a professional software developer masters more than just one programming language. This book assumes that its readers are programmers. If you ask, “What’s a for-loop?” or “What’s a compiler?” then this book is not (yet) for you; instead, I recommend my Programming: Principles and Practice Using C++ to get started with programming and C++. Furthermore, I assume that readers have some maturity as software developers. If you ask “Why bother testing?” or say, “All languages are basically the same; just show me the syntax” or are confident that there is a single language that is ideal for every task, this is not the book for you. What features does C++11 offer over and above C++98? A machine model suitable for modern computers with lots of concurrency. Language and standard-library facilities for doing systemslevel concurrent programming (e.g., using multicores). Regular expression handling, resource management pointers, random numbers, improved containers (including, hash tables), and more. General and uniform initialization, a simpler for-statement, move semantics, basic Unicode support, lambdas, general constant expressions, control over class defaults, variadic templates, user-defined literals, and more. Please remember that those libraries and language features exist to support programming techniques for developing quality software. They are meant to be used in combination -- as bricks in a building set -- rather than to be used individually in relative isolation to solve a specific problem. A computer is a universal machine, and C++ serves it in that capacity. In particular, C++’s design aims to be sufficiently flexible and general to cope with future problems undreamed of by its designers.